Please note: This review is based on Field Station: Dinosaurs previous location in Secaucus, NJ. I have not visited its new location in Leonia, NJ. Did you know you can travel about 20 minutes from Manhattan and arrive 90 million years back in time? 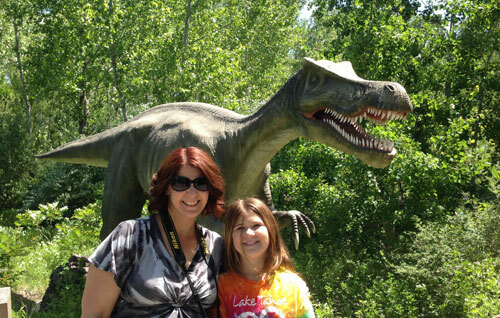 Field Station: Dinosaurs in Leonia, NJ, makes this time travel possible. As my nine-year-old daughter and I entered the park, we heard a roar, quickly followed by a child’s cry. Just around the bend, a mother soothed her toddler while her preschooler whooped it up, laughing and roaring right back at the Dilophosaurus. We walked along the tree-lined gravel path, marveling at the life-like dinosaurs moving and bellowing. 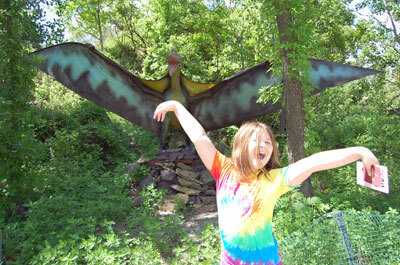 Opened in 2012, Field Station: Dinosaurs is a 20-acre wooded park inhabited by more than 30 life-size, animatronic dinosaurs. The dinosaurs move slowly and subtly, and the roaring is not too alarming. The toddler who cried out when he saw that first dinosaur? We noticed him later laughing and reaching out, trying to touch the beast that was once so scary. Everything in the park is presented in a fun and educational way. I used to pride myself on knowing a lot about dinosaurs. When my teenage son was little, we played with a bucket of plastic dinos and read all the books we could find. My daughter was never quite as interested, but she was still familiar, happily cooing at the tiny Velociraptors and laughing while taking her “T-Rex Selfie.” Each dinosaur had its own information board that explained where they were found in the world, who discovered them, how big they were and other interesting facts. As we strolled, I was amazed at how much we learned. A highlight of our visit was the amphitheater. Lined with camping stools for a real “around the campfire” effect, the amphitheater offers several shows daily that teach kids (and parents) not only about dinosaurs, but also about birds, rocks, fossils, and more. We loved listening to the catchy tunes sung by the troubadour (“The mighty T-Rex, the mighty T-Rex, no one forgets the mighty T-Rex!”), and learning about the multitude of dinosaur fossils found in New Jersey. We also enjoyed the Dinosaur Dance Party, Dinosaurs Alive! 3D movie, Feeding Frenzy, Dino Whodunit?, T-Rex games, a coloring station, and a fossil dig site complete with sand, shovels, pails and fossils. 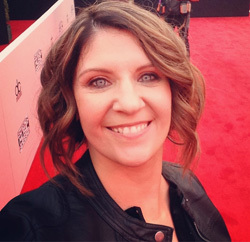 The programs are fun, interactive, musical, and educational. Another feature I particularly liked about the park was the availability of tented, shaded sitting areas. While the kids are digging for fossils, parents can stay cool on nearby benches under a tent. The main picnic area (where birthday parties are held – another great idea for your visit!) is also tented and offers plenty of tables. You can bring your own food into the park or enjoy lunch from the grill, with options like Dino Dogs, Bronto Burgers and T-Rex Italian Ices. 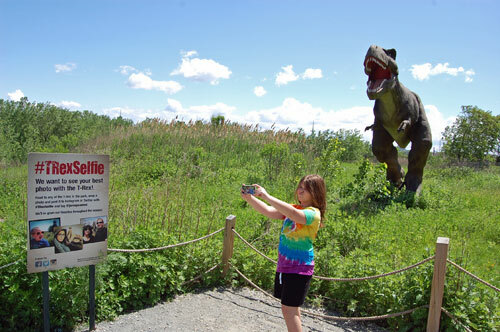 Field Station: Dinosaurs‘ location makes it an easy day-trip from anywhere in New York City or northern New Jersey. My favorite dinosaur is the Stegosaurus. I thought I knew all the places to go in NJ! I am a fan of the triceratops myself.